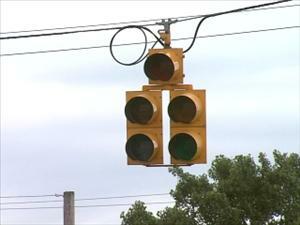 What do you do when Traffic Lights are out? If traffic lights are out due to a storm or power outage then drivers are to stop at the intersection as though it is a four-way-stop. Drivers must then proceed through the intersection one by one in the order of first-come-first-serve. This means that you must yield to the right of way to others who have arrived first. If two cars arrive at the same time, then the vehicle to the right will proceed first. Pedestrians, cyclists and other road users may be confused by malfunctioning lights and signals. Be alert and aware of your surroundings. When a pedestrian is waiting to cross, they have right-of-way so vehicles must yield to all pedestrians crossing. If traffic lights are down in your area, you may report them to your local department of transpiration. If you need to call to report an outage, please pull over to avoid driving distractions. The Cunnane Law Office has provided this content for informational purposes only. You should refer your questions to a personal injury attorney. Let us be your advocate. We will stand up for your rights, negotiate on your behalf, inform you of your options and buffer you from inappropriate demands. As your first line of defense, we will fight for a better settlement and reduce your stress associated with the process. Insurance companies have time and money on their side, along with teams of lawyers and decades of experience. Not even your own insurance company will work to get you the best settlement possible. © 2019 Edmonds Personal Injury Attorney | Seattle Lawyer King Snohomish County. All Rights Reserved. Bothell, Edmonds, Everett, Lakeforest Park, Lynnwood, Mill Creek, Mountlake Terrace, Mukilteo, Shoreline, Northgate, and North Seattle.